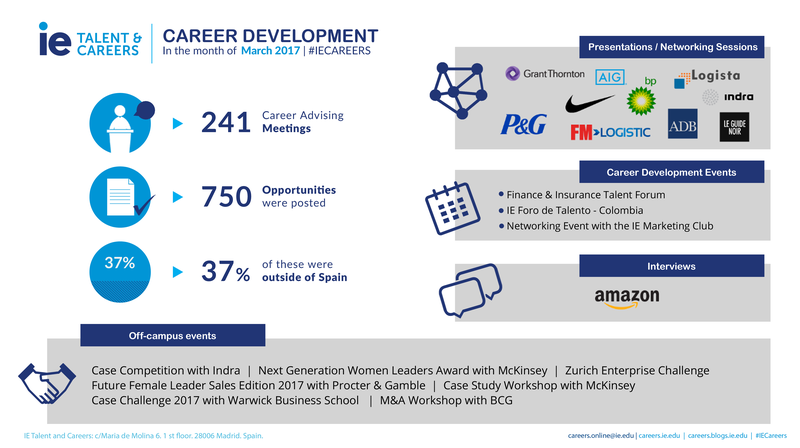 During the month of March, #IEWomen participated in the P&G Future Female Leaders Sales Edition 2017, and many companies such as Nike, P&G, Indra, BP, Logista and AIG made company presentations on-campus. The following is a summary of IE Talent and Careers‘ career development activities with companies and students during the month of March. As a result, the department is able to provide on-going, top quality service to students across all IE programs.